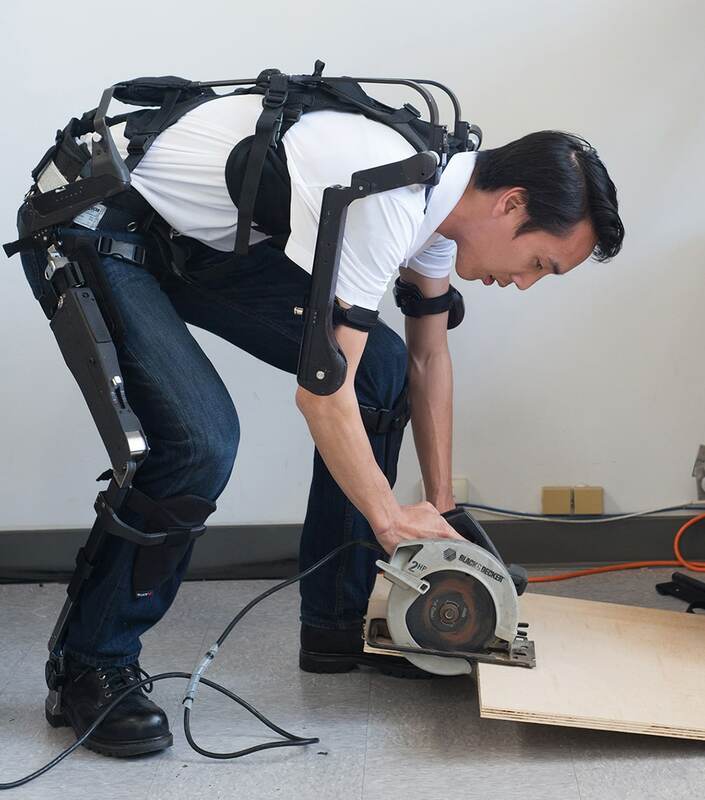 The backX is a passive hip exoskeleton for work and industry. 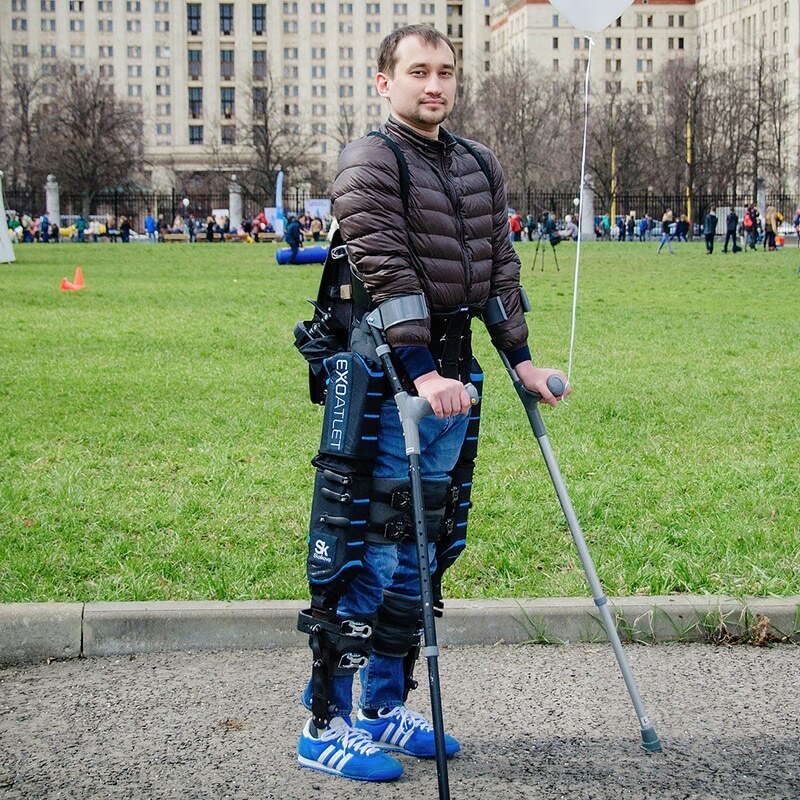 This wearable exoskeleton is designed to remove some of the loads from the spine while bending forward. 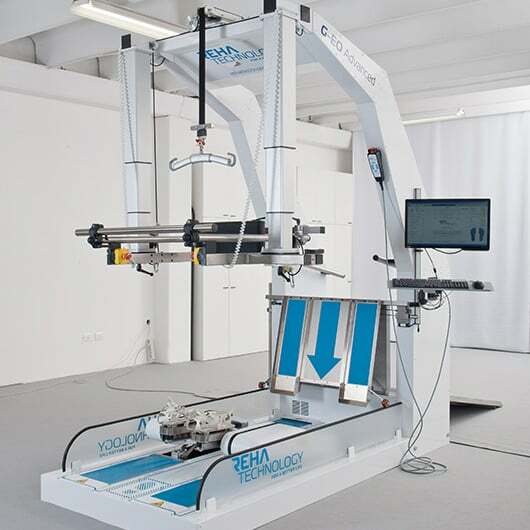 This reduces the amount of back muscle activation and decreases the stress on the spinal column. 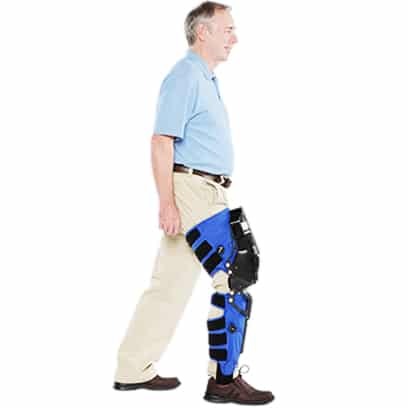 The backX can be used independently or combined with the legX and shoulderX by SuitX to form the MAX knee-hip-shoulders passive exoskeleton. 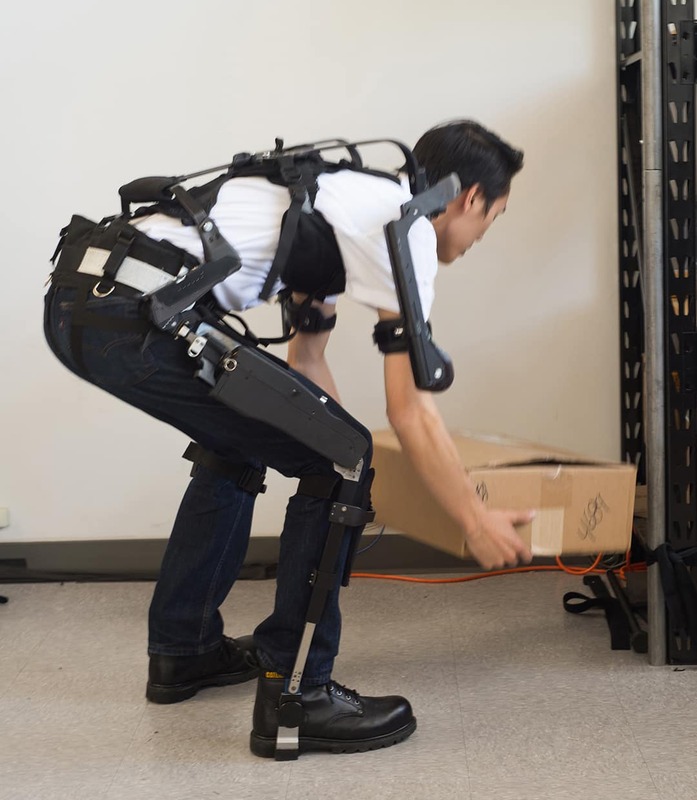 The backX is an industrial exoskeleton designed to reduce the forces and torques on the wearer’s lower back region (L5/S1 disc) by an average of 60% while stooping, lifting objects, bending or reaching. 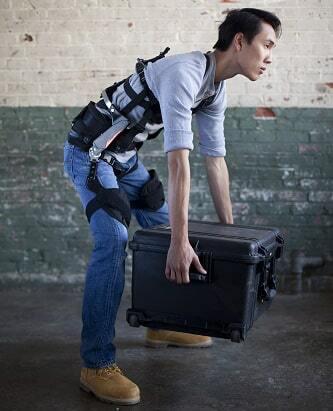 In addition to augmenting the wearer’s strength, the backX should greatly minimize the risk of back injuries among workers. The backX is designed to be worn all day and to not impede natural movement. 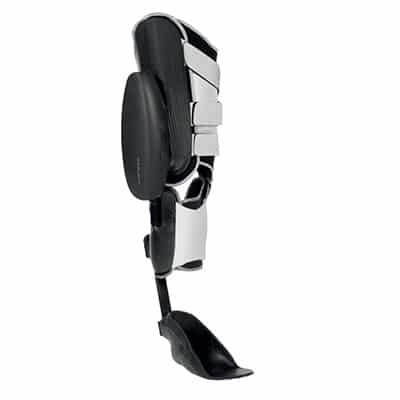 The wearer can walk, ascend and descend stairs and ladders, drive automobiles, ride bicycles, run and perform any maneuver with absolutely no restriction. 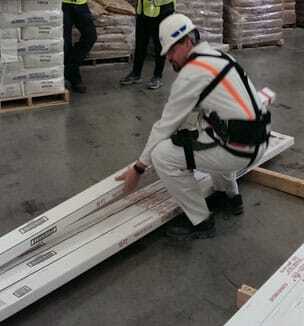 Another feature of the backX (and all SuitX products) is the special attention to integration with already existing safety equipment. 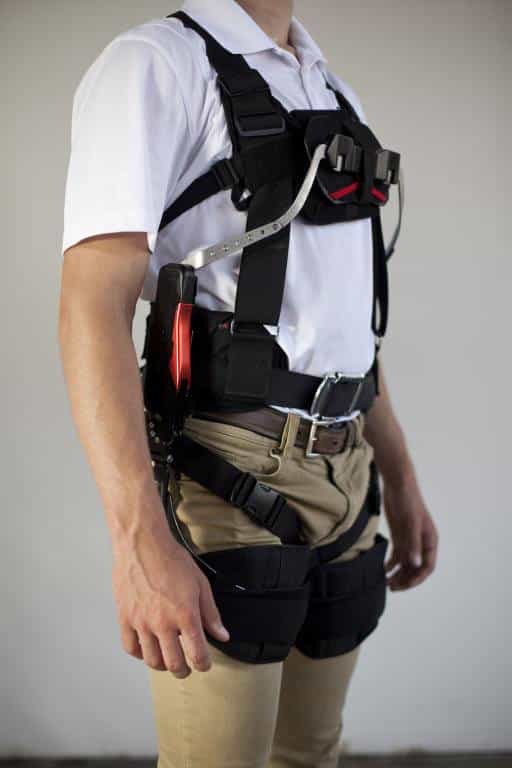 The backX can be worn with standard safety harnesses and tool belts. The backX further includes pouches to hold cooling and heating packs for extreme weather. This is a completely passive device and requires no batteries to operate.